The city, also known as Nath nagari (Land of Lord Shiva), Zari nagari and historically as Sanjashya (where the Buddha descended from Tushita to earth), is a centre for furniture manufacturing and trade in cotton, cereal and sugar. Its status grew with its inclusion on the "counter magnets" list of the National Capital Region (NCR), a list also including Hissar, Patiala, Kota and Gwalior. The city is also known as Bans-Bareilly. Although Bareilly is a production centre for cane (bans) furniture, "Bans Bareilly" is not derived from the bans market; it was named for two princes: Bansaldev and Baraldev, sons of Jagat Singh Katehriya, who founded the city in 1537. Bareillys 2011 population was 898,167. According to the epic Mahabharata, Bareilly region (Panchala) is said to be the birthplace of Draupadi, who was also referred to as Panchali (one from the kingdom of Panchala) by Krsna (Lord Krishna). When Yudhisthira becomes the king of Hastinapura at the end of the Mahabharata, Draupadi becomes his queen. The folklore says that Gautama Buddha had once visited the ancient fortress city of Ahicchattra in Bareilly. The Jain Tirthankara Parshva is said to have attained Kaivalya at Ahichhatra. 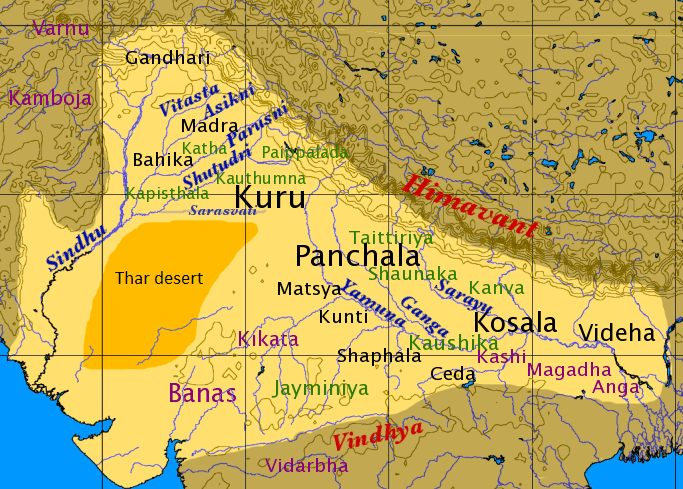 In the 12th century, the kingdom was under the rule by different clans of Kshatriya Rajputs. With the Islamic Turkic Invasion the region became a part of the Delhi Sultanate before getting absorbed in the emerging Mughal Empire. The foundation of the modern City of Bareilly foundation was laid by Mukrand Rai in 1657. From archaeological point of view the district of Bareilly is very rich. The extensive remains of Ahichhatra, the Capital town of Northern Panchala have been discovered near Ramnagar village of Aonla Tehsil in the district. It was during the first excavations at Ahichhatra (1940–44) that the painted grey ware, associated with the advent of the Aryans in the Ganges–Yamuna Valley, was recognised for the first time in the earliest levels of the site. Nearly five thousand coins belonging to periods earlier than that of Guptas have been yielded from Ahichhatra. It has also been one of the richest sites in India from the point of view of the total yield of terracotta. Some of the masterpieces of Indian terracotta art are from Ahichhatra. In fact the classification made of the terracotta human figurines from Ahichhatra on grounds of style and to some extent stratigraphy became a model for determining the stratigraphy of subsequent excavations at other sites in the Ganges Valley. On the basis of the existing material, the archaeology of the region helps us to get an idea of the cultural sequence from the beginning of the 2nd millennium BC up to the 11th century AD. Some ancient mounds in the district have also been discovered by the Deptt. of Ancient History and culture, Rohilkhand University, at Tihar-Khera (Fatehganj West), Pachaumi, Rahtuia, Kadarganj and Sainthal. Bareilly is in northern India, at 28°10?N 78°23?E. 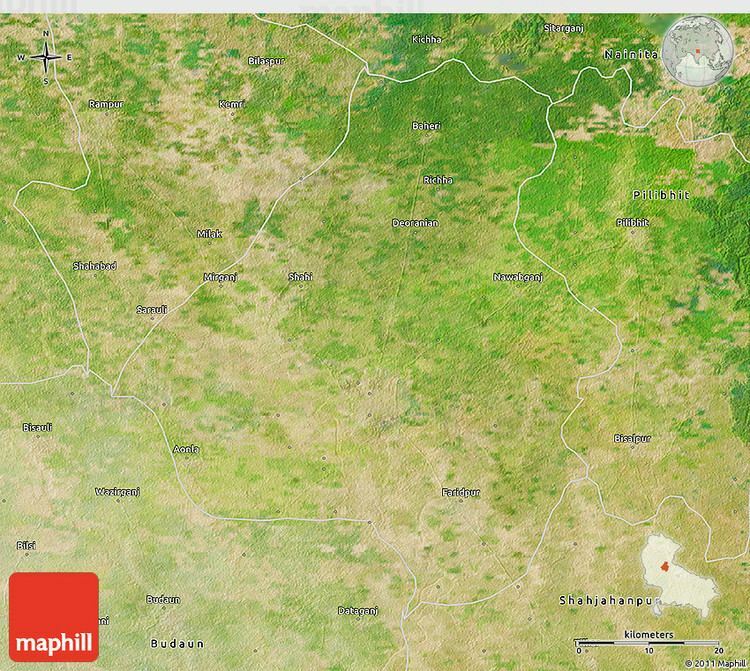 On its east are Pilibhit and Shahjahanpur, Rampur on the west, Udham Singh Nagar (Uttarakhand) to the north and Badaun to the south. The city is level and well-watered, sloping towards the south. Its soil is fertile, with groves of trees. A rain forest in the north, known as the tarai, contains tigers, bears, deer and wild pigs. The river Sarda (or Gogra) forms the eastern boundary and is the principal waterway. The Ramganga receives most of the drainage from the Kumaon mountains, and the Deoha also receives many small streams. The Gomati (or Gumti) is also nearby. Bareilly has arts and cultural organisations, art galleries and theatres. The annual Craft Fair at YugVeena Library showcases artists. Influenced by the migrants from nearby regions, Bareilly has a varied culture: Brij (of Mathura), Awadhi (of Lucknow), Pahaari (of the Kumaun region of Uttrakhand) and Harayanvi (of northwest Uttar Pradesh). The city hosts a number of fashion shows. The Bollywood film Woh 5 Din, a suspense thriller, was shot in Bareilly and in 2005s Main, Meri Patni Aur Woh, Rajpal Yadavs wife Veena comes from the city. Bollywood actress and former Miss World Priyanka Chopra is from Bareilly. Since India began liberalising its economy, Bareilly has experienced rapid growth. Commerce has diversified with mall culture, although the areas rural economy remains agrarian, handicraft (zari-zardosi embroidery work on cloth material), bamboo and cane furniture. The city is equidistant from New Delhi and Lucknow, the capital of Uttar Pradesh. 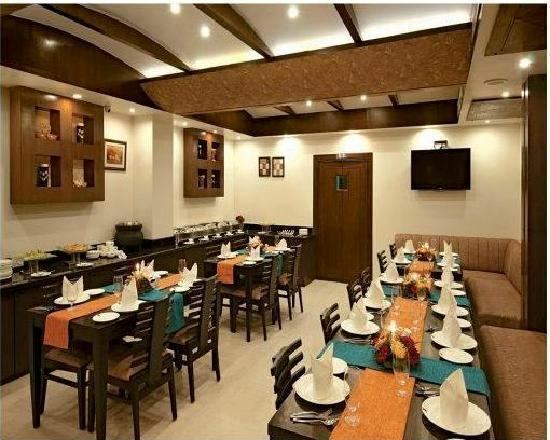 Bareilly has a number of restaurants which follow the tradition of naming a cuisine after its creator. The city is known for its Seekh Kabaabs, which are sold throughout the old city. Minced meat (primarily lamb), mixed with spices and aromatic herbs, is grilled on skewers over tamarind charcoal.